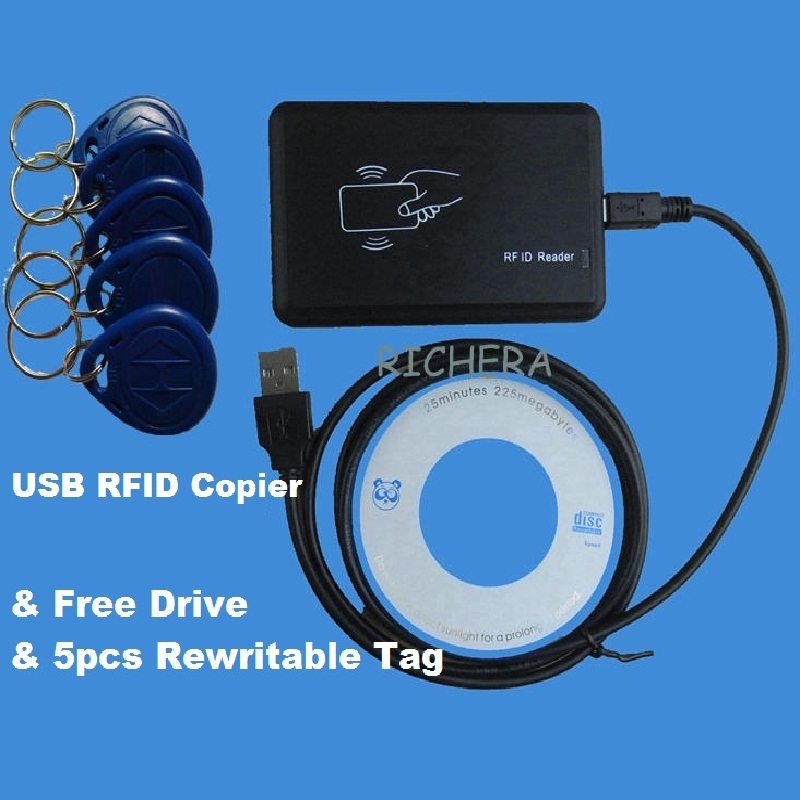 125khz RFID reader/writer.with USB interfce. 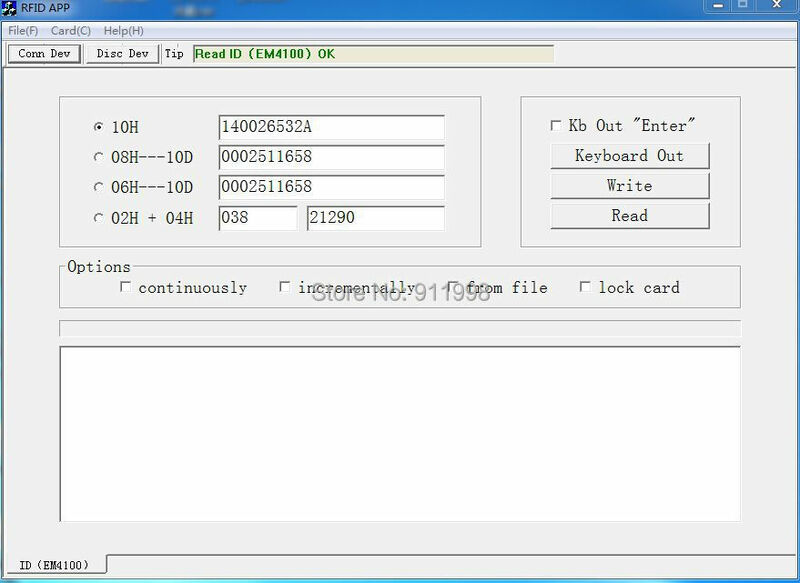 It can support Write/Copy EM4305,8800,ATAT5577, T5557, T5567,CET5200 or compatible cards/tags. It can support Read EM 4001,EM4200 or compatible cards/tags. 14.Support Read EM 4001,EM4200 or compatible cards/tags.